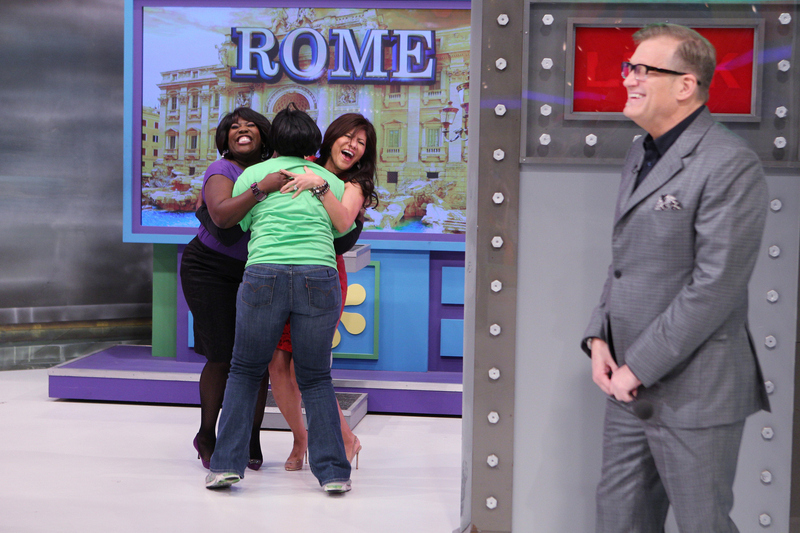 Contestant Wendy Walker with host Drew Carey and THE TALK co-hosts Sheryl Underwood And Julie Chen, who stop by to try their hand at being models, Thursday, May 9 (11:00 AM-12:00 Noon, ET; 10:00-11:00 AM, PT). The pair also presents a New York-themed showcase in honor of THE TALK’s return to New York May 13 – 17. Photo: Sonja Flemming/CBS ©2013 CBS Broadcasting, Inc. All Rights Reserved.